Here's a little known fact about me: I am not a baker. When it came to doling out roles in the family, Jenny got baker and I got chef. I make the meals, she makes the deserts. She even used to have a little company (we have a problem starting businesses...you should see our business card drawers...) called "Jenny Cakes Cadieux." 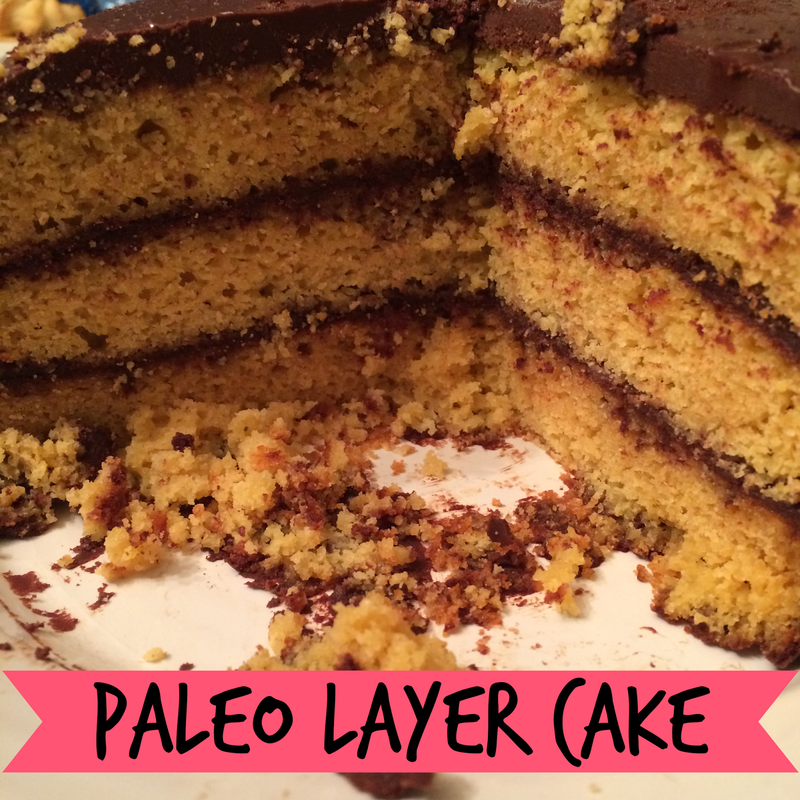 But, as I started to get more into paleo, I realized I was going to need some treats that I could make for birthdays and holidays. I mastered my zucchini bread for Thanksgiving and Christmas, but I wanted something special I could make for birthdays, especially for a very special first birthday coming up (!!). So, I tried a lot of different recipes out there, but was mostly inspired by one of my favorite paleo cakes: Delighted Momma's vanilla mug cake (I have an addiction to it!). 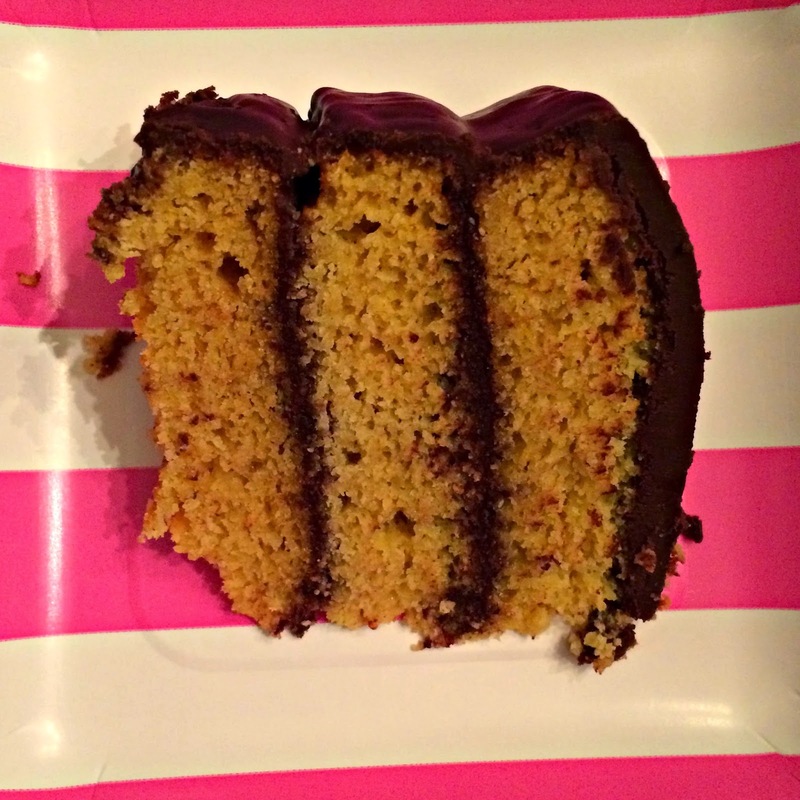 This recipe is for one 8 inch round cake pan; I made three of these for the layer cake. In a food processor, add all ingredients and blend until creamy. It's a thick batter! Grease the pan with coconut oil. Scoop/pour in the batter and pat the pan down so the batter spreads out evenly. Bake for 20-22 minutes until top is golden and fork comes out clean! For the frosting: I used Elana's Pantry paleo chocolate frosting recipe and doubled it. Mine didn't whip up at all, but I still used it to frost between layers. When it came time to frost the actual cake, I literally put the cake on a big plate and poured the thick frosting over it. I stuck the cake in the fridge for a few hours, and voila! A magic delicious chocolate shell. I let it sit out for a few minutes before eating and it was perfect.